The proposed installation of tolls on Connecticut highways would have a major impact on our communities. 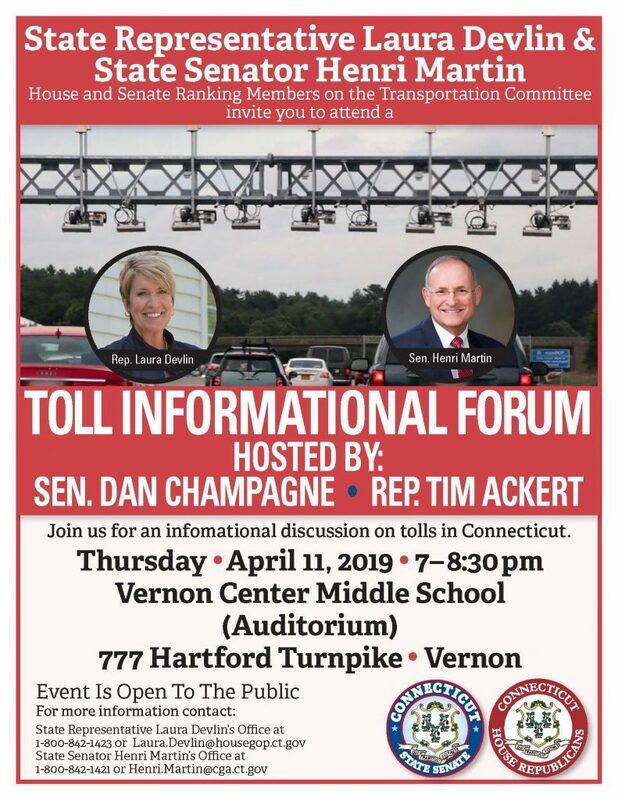 Current plans and proposals have ranged from 53 tolls up to 82 tolls, making our state the most heavily tolled state in the country, and would raise nearly $1 billion, nearly 60% would come from Connecticut drivers. Thursday, April 11th 7:00 p.m. – 8:30 p.m.